Soul Exorcism (Redux) is just as much a document of a space and time as it is the triumphant reissue of the legendary live album by James Chance & the Contortions. Chance & the Contortions (and his alter-ego-band, James White & the Blacks) were focused on probing the outer reaches of the late 1970's black and white musical fringes—Miles Davis' fractious funk-jazz experiments from one side, and obnoxiously loud and aggressive punk rock from the other—and with much thrashing tried to move toward both directions at the same time: Jazz / Funk / Punk. This blistering live album, recorded in Rotterdam in June 1980, sounds as audacious as that concept; you can still wonder 27 years later if this is wicked music or a wicked joke. Chance certainly put together a rhythm section—drawing drummer Richie Harrison from Defunkt and bassist Al McDowell from Ornette Coleman's Prime Time—with sharp enough chops to pull it off, or at least try. You'll be able to tell if you can handle it from the opening contortion of Michael Jackson's "Don't Stop Till You Get Enough. Lorenzo Wyche blows through that familiar, opening trumpet hook at about four times the original's speed, saxophone paints a nightmare with sound, and Chance can't even sing the lyrics so much as he roars them out, almost struggling to keep pace with the instrumental rampage. The harmonized horn passage in "I Danced with a Zombie feels like New Orleans style collective improvisation, albeit from a more lunatic jazz perspective, and increasingly hypnotic over its eight minutes. "Zombie lurches into "Exorcise the Funk, an archetype of this album's sound—bleating, braying, aggravating, grating, all entirely on purpose. Chance's and White's own articulate liner notes often belie the apparent viciousness of this music: "For example, 'I Danced with a Zombie' might be described as a cross between Haitian voodoo music and the Afro-soul of Fela Kuti. Exorcism also captures the band's epic workout of James Brown's "King Heroin, jarring and chilling, not melodic or enjoyable, a sick performance of a song written about sickness. Chance's 1987 studio version of Brown's "I Don't Want Nobody to Give Me Nothing is one of this reissue's bonus cuts. 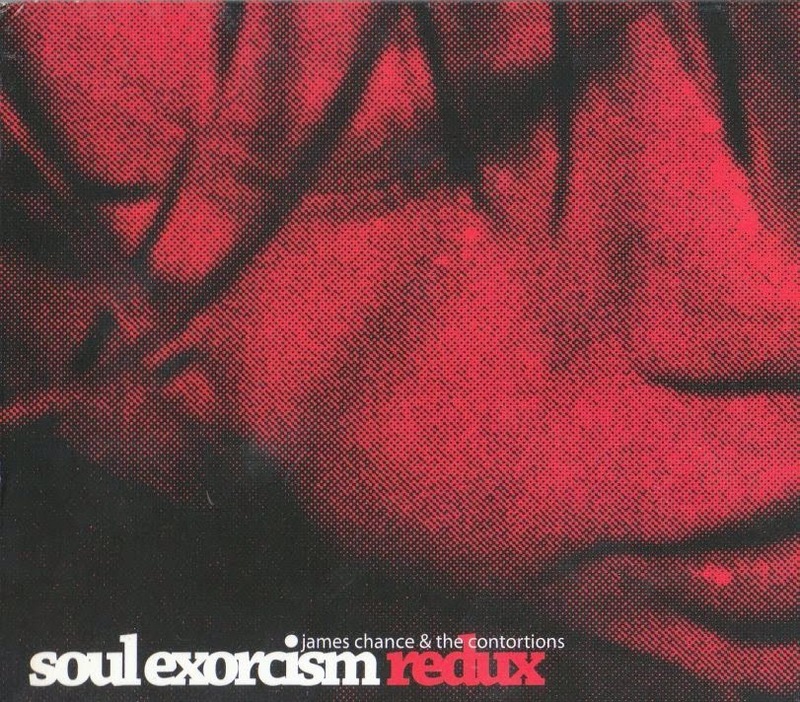 Soul Exorcism sounds like Chance surveyed the 1980 contemporary music scene, saw Michael Jackson rocking with you on one front, Rick James preparing to get all Super Freaky on another, with Miles Davis scrambling experimental jazz-funk omelets in the kitchen, and wondered, "Hey, why should black people have all the fun? Personnel: James Chance (White): lead vocals, alto sax, organ; Patrick Geoffrois: slide guitar, backing vocals; Fred Wells: guitar; Lorenzo Wyche: trumpet; Al McDowell: bass; Richie Harrison: drums; Anya Phillips: backing vocals; Jerry Agony: guitar, bass; Nic North: keyboards, bass, drum programming.